The standard configuration includes trolley frequency conversion and cart conversion to make the running stable and reliable. 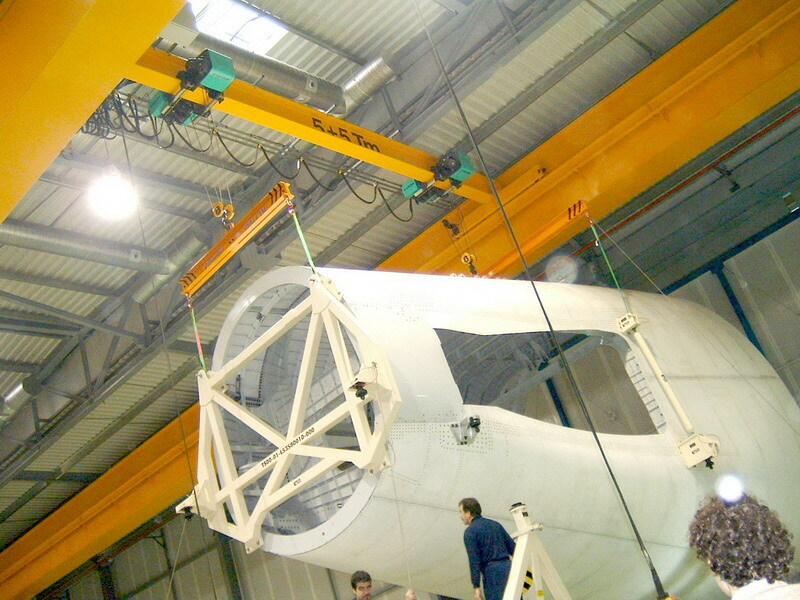 There will be lifting frequency conversion or double-hoist operation according to the on-site situation. 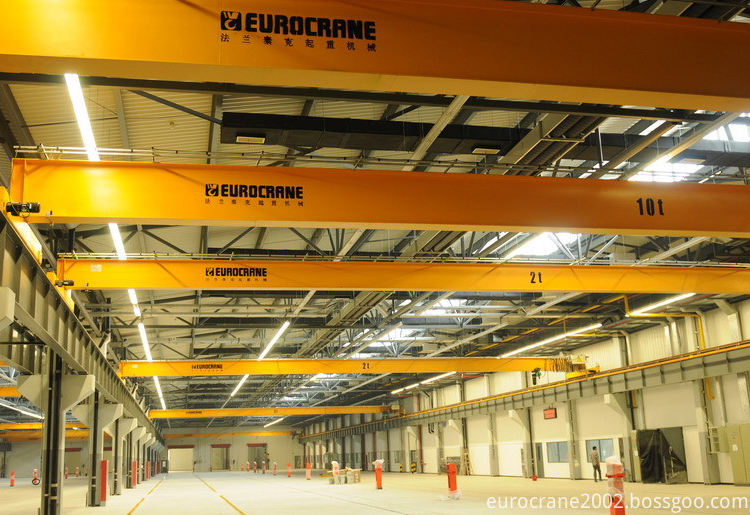 Eurocrane Overhead Crane is a revolutionary creation with unparalleled performance, light weight, maximum safety and reliability, and high operating efficiency, all encompassed in a compact design. Designed to solve various applications, the Crane helps customers to cut down on the overall factory construction cost, improve productivity, reduce daily maintenance effort, and minimize the use of energy, thus achieving higher return on investment. 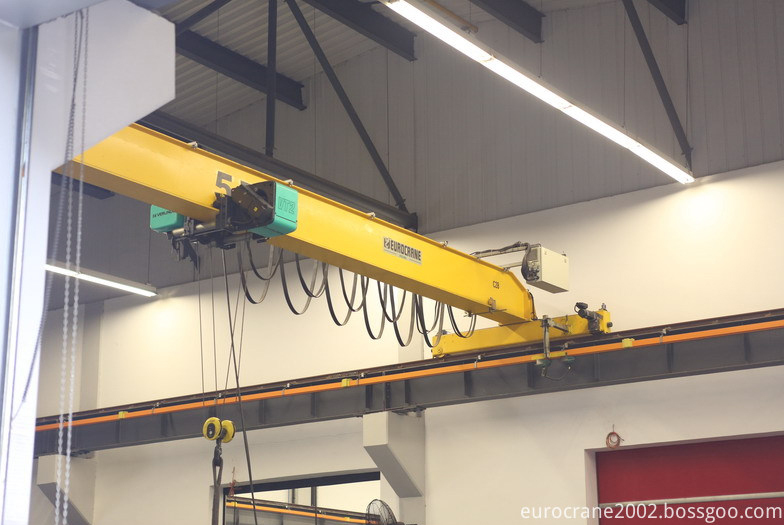 Our electric overhead crane can be supplied with various configurations to cover a wide range of lifting capacities, ranging from 8t to over 500t. Other options such as the turn over hoist, anti-sway device, automatic positioning device, winch servicing and monitoring device, or remote diagnostic tool are available as well. We also provide personalized, professional solutions to customers with our experience and advanced techniques. Electric Single Girder Overhead Crane up to load: 20t, as new generation reformed product, the electric single girder overhead crane has the features of superior performance, compact structure, small dimension of headroom and making full use of available space of the plant. Looking for ideal Single Girder Overhead Crane Manufacturer & supplier ? We have a wide selection at great prices to help you get creative. All the Wire Rope Electric Hoist are quality guaranteed. We are China Origin Factory of Electric Hoist Overhead Crane. If you have any question, please feel free to contact us.